Hi I'm Eiji, an English tour guide in Amami Ōshima. Born in Tokyo and left the crazy town when I was 22 years old with my little backpack. 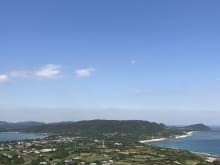 Spent about 3 years to see and experience the world, more than 25 countries in total, and lived in a couple of different part of Japan, such as Yakushima, Izu, and Kochi. And finally, drifted to the southern subtropic island, Amami Ōshima in 2015. I have worked as an English tour guide for an Australian company for 3 years and also worked as a sea kayak tour guide for 3 years, love to show people around my favorite places. My hobbies are outdoor activities such as canoeing, surfing and camping. Traveling, eating and drinking as well! I'm looking forward to sharing our time and traveling together on this beautiful island. I enjoyed my tour here in Amami with Eijisan. 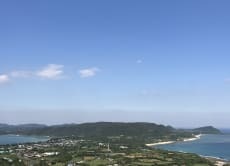 I had so much fun exploring beautiful beaches of Amami.thank you so much! !